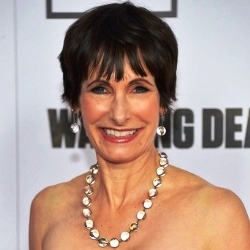 As we all waited with bated breath for the return of The Walking Dead, I caught up with executive producer Gale Anne Hurd (who also happens to be one of my personal idols -- I may or may not have squealed like a small child when presented with this opportunity). Hurd discusses what she's looking forward to in Season 4 and gives us some insights into her next project, a WWII-era pilot for USA titled Horizon. We left our characters at the end of Season 3 in a state of upheaval -- will we be thrown right back into the action or will some time have passed for them? In past seasons, there has been a passage of time for our characters between our season finale and our new season premiere, and this season is likely to follow that pattern. Is there a returning character this season that you're especially excited about? I am excited to see more time spent with Tyreese, who is a favorite character from the comic books. We're going to meet several new characters -- are there any in particular that have become your favorite? I'm very excited by the introductions of Bob Stookey and Rosita, also from the comic books. You recently shot a pilot for USA, the WWII-era Horizon, starring Cary Elwes, Ruth Bradley, Meg Steedle, Taylor Handley and Mark Famiglietti. Was it a drastic difference going from a horror-centered show to a sci-fi drama? It's a fantastic change of pace to be able to create the world of the 1940s, and yet the stress of a world at war ups the ante, as the walkers do in The Walking Dead. Both are character driven shows about ordinary people trying to survive in extraordinary times, with one group dealing with zombies, and the other encountering aliens. 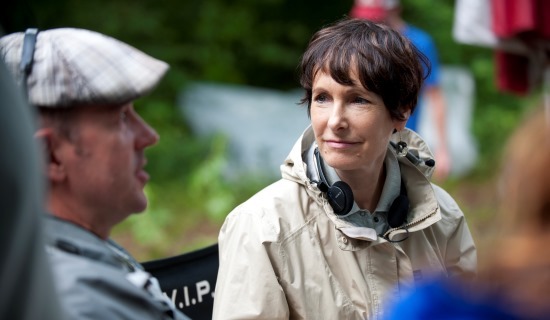 Getting serious for a second: You are one of my idols, I really look up to you and what you've accomplished in film and TV -- do you have any advice for women who want to step behind the camera? Never give up -- but make sure you've done all of your homework so that when opportunity knocks, you're ready for the challenges and obstacles you're bound to encounter.